You know its about spring when the red birds start singing their song. 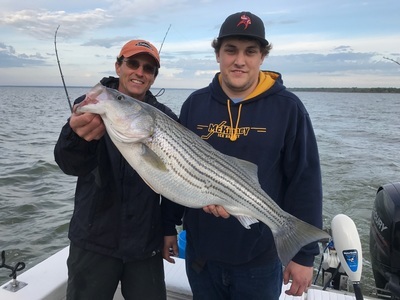 March is big fish month on Texoma — Big fat prespawn fish will move up out of the deep water to feed before making their annual run up the river. February fishing is ok but I love the springtime so I spend some of my time in February for boat maintenance and preparation for the upcoming season. I can’t believe its Valentine’s day already. 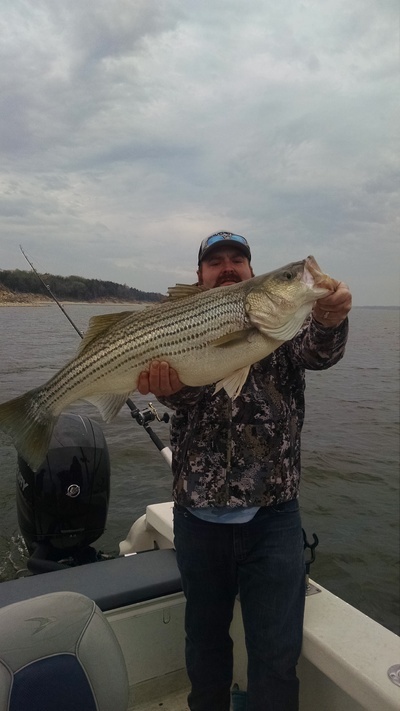 Spring dates are booking up fast and before you know it I will be out on Texoma chasing big striper every day. My bait of choice in the spring time is a 5″ swim bait on a 1oz jighead. I will fish with any color as long as it is glow or chartreuse. On days when I have experienced anglers we will cast them but when my crew is lacking casting skills we troll them on spreader rigs. Most days you need to concentrate on shallow structure in 10 – 25 foot of water. I describe structure as any difference in water depth like points and humps or a difference in bottom composition from the normal like gravel,rock,timber, and man made structures. While fishing structure always keep your eye open for working birds as that can happen anywhere at anytime in the spring. It’s about to get serious up here on Texoma and I’m ready.